A new crime novel set against the beautiful backdrop of Sorrento is now available via the Amazon website. 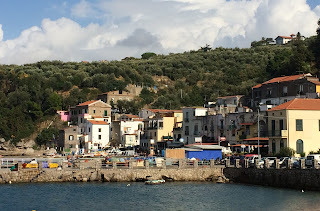 Much of the action in the novel takes place in the ancient streets in the centre of the resort and at locations out along the Sorrentine peninsula. 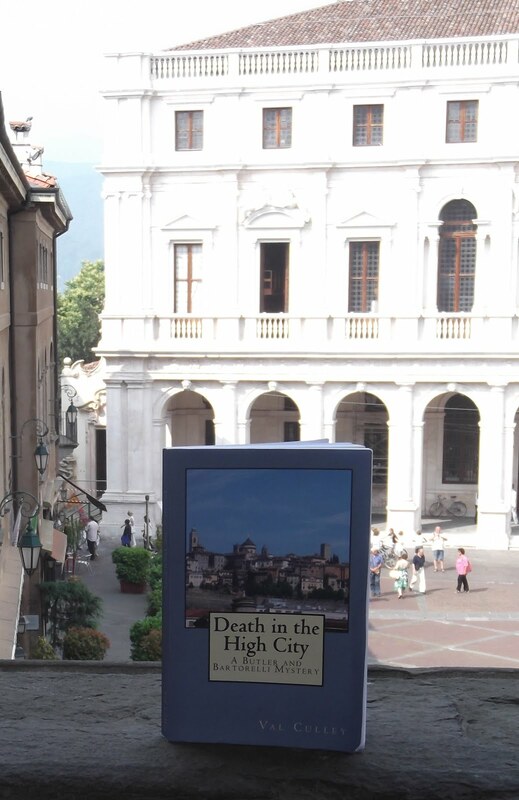 The Shooting in Sorrento - written by Best of Sorrento editor Val Culley - is the second Butler and Bartorelli mystery and is the sequel to Death in the High City, which was set in Bergamo in Lombardy. 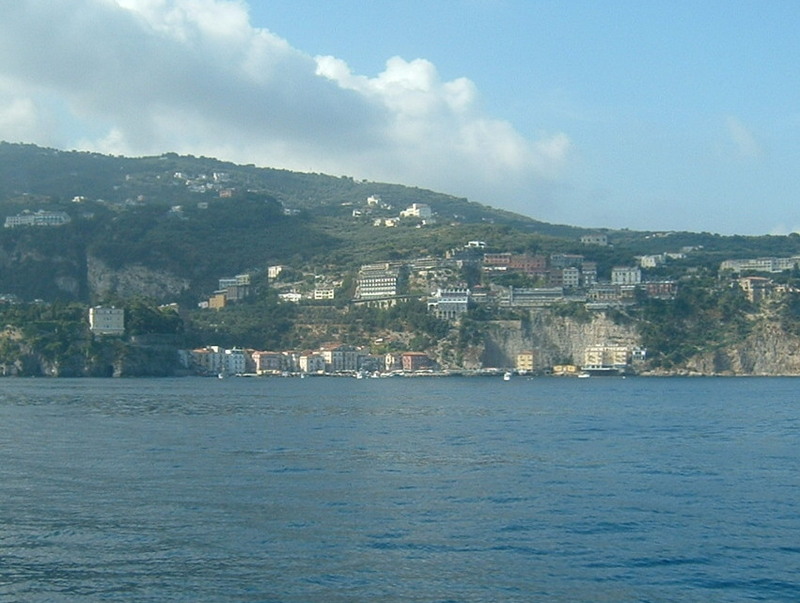 The main protagonist, journalist Kate Butler, is in Sorrento with her partner, Steve Bartorelli, a retired Detective Chief Inspector, to attend the wedding of the daughter of one of Steve’s Italian cousins. The couple get to know an English family staying at their hotel in Capo di Sorrento and when tragedy strikes them, Kate feels she should try to help. She has already become friends with the mother of the family, Janice, who is a woman of about her own age. Steve is distracted by meeting up with Italian relatives he has not seen since he was a child and is also wary of becoming too involved with the family because two of his cousins are senior officers in the Polizia di Stato. But Kate is determined to get justice for her new English friends and joins forces with another visitor to Sorrento to investigate, when it seems the Italian police are focusing all their interest on the English family. 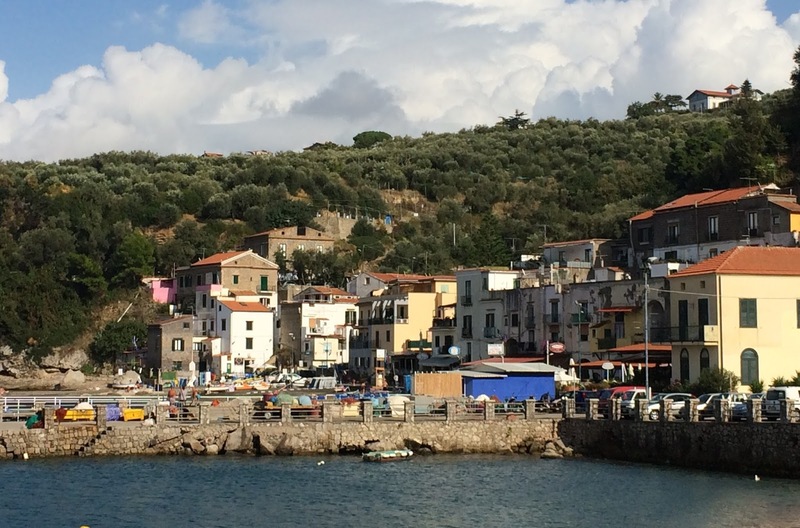 Her enquiries cause her to wander the narrow streets that run parallel to Corso Italia and take her down to the beach at Marina di Puolo, but she ends up putting herself in danger when her sleuthing gets her too close to the truth. The Shooting in Sorrento is believed to be the first British crime novel set in Sorrento and is available to buy in paperback or as a Kindle edition from Amazon. Italian Senator and celebrated writer Raffaele Lauro was born on this day in 1944 in Sorrento. A prolific author and song writer, Lauro has also been an important political figure for more than 30 years. 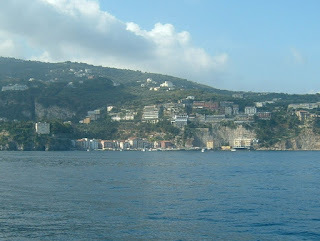 He was born in Sorrento and as a young man worked as a receptionist at a number of hotels along the Sorrento peninsula. After finishing school he went to the University of Naples where he was awarded degrees in Political Science, Law and Economics. Lauro then won a scholarship from Italy’s Ministry of Foreign Affairs and studied at their diplomatic institute and then later in Paris. Afterwards he studied for a degree in Journalism in Rome and became director of a scientific magazine. He became a commentator on new technology for Il Tempo in Rome and Il Mattino in Naples and studied Film Directing while living in Rome, also teaching Law of Mass Communications at Rome University. His political career began when he was elected as a Councillor for Sorrento in 1980. He went on to become Deputy Mayor and, as Councillor for finance, personnel and culture, opened the Public Library of Sorrento and established a theatre school. Lauro moved back to Rome in 1984 where he held a number of Government posts. 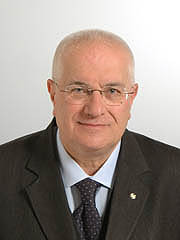 In the general election of 2008, Lauro was appointed a Senator for the People of Freedom Party representing Campania. He was made a member of the Parliamentary Committee of Inquiry into the Mafia and other criminal organisations and later became political advisor to the Minister of Economic Development, Claudio Scajola. In 2015 Lauro joined the Democratic Party of Lazio. For more than 40 years, Lauro has worked as a freelance journalist, essayist, screenwriter, author and director. He has written about foreign affairs and politics, brought out works of fiction under the pseudonym Ralph Lorbeer and composed music. In January 2017, at the age of 73, Lauro published a song, Uno straccione, un clown, dedicated to the songwriter Lucio Dalla, to commemorate the fifth anniversary of his death. Lauro had previously written three books about Dalla, the famous singer songwriter from Bologna.